Our family cooking recipe for breakfast Chinese Rice Noodle Soup, simple, healthy and easy to make. Scroll down to watch the cooking video. For our family meal, noodle is very commonly seen because it is easy to cook. 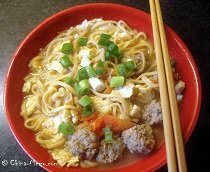 You might have seen some of the noodle recipes on this site based on our home cooking already, such as this Chinese Seafood Rice Noodle, Chinese meatball tomato noodle soupand simple Chinese Egg Veggie Noodle Soup. Here I just summarize how my father makes a simple Chinese Rice Noodle Soup as our breakfast. 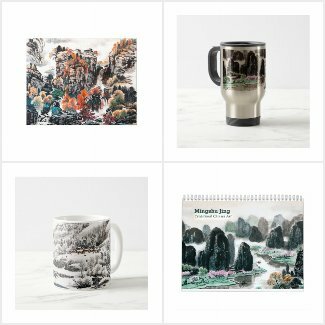 I grow up in Hunan Province, which is located at south of China. 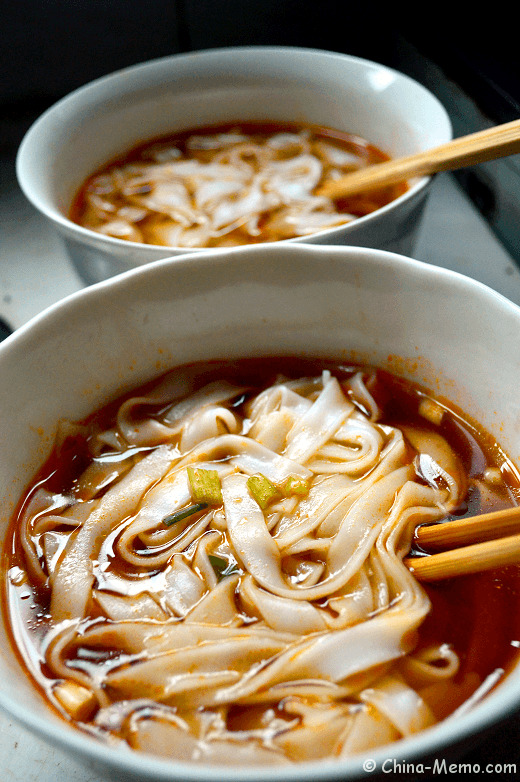 Rice noodle is very common food in Hunan. Most locals normally have the rice noodle soup as the breakfast and noodle shop is everywhere in Hunan. In the morning, people would stop at the street food stall and have a noodle soup on their way to work. My parents normally buy the rice noodle from the market and make the noodle soup at home. Here is how they do it. The rice noodle is freshly made and can be bought from local market in the morning. 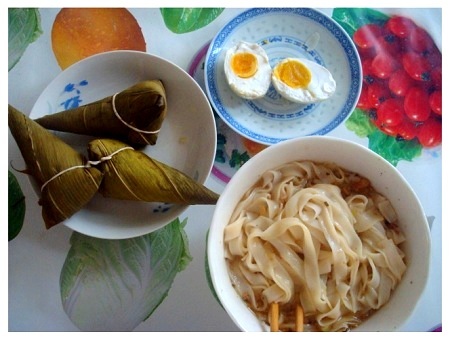 There are two types of rice noodle, flat shape and round shape one. Most time our family use the flat rice noodle for breakfast. • Add water into the wok. Bring the water to a boil. • Wash and finely chop the spring onion. Add the spring onion, light soy sauce and Chinese chili bean paste into the bowl. Add few drops of sesame oil too. • Once the water is boiled, add water into the bowl to make the soup. 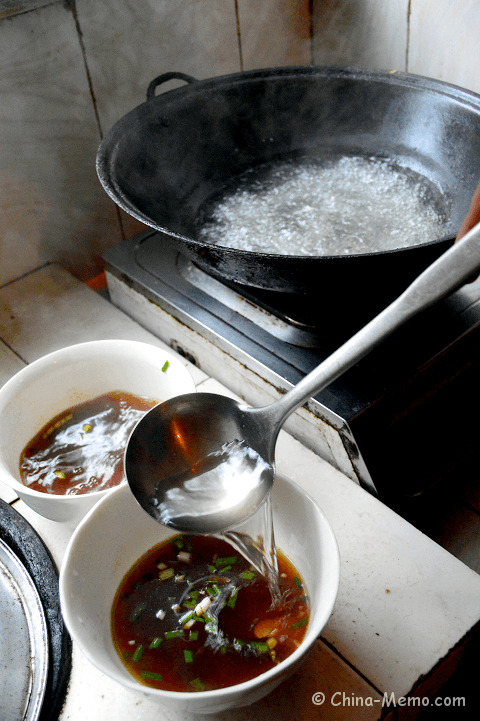 • In the wok, add the rice noodle in the boiled water, because this noodle is freshly made and no need to cook long. Just wait for two or three minutes, that's it. • Transfer the noodle into the bowl. Stir and mix with the soup. Serve hot. You can watch the cooking video here. 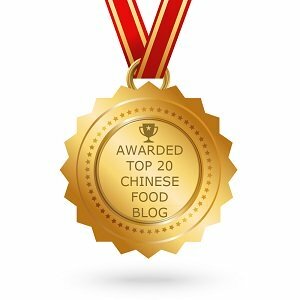 To get the update for more Chinese home cooking videos, please subscribe to my Youtube Channel. 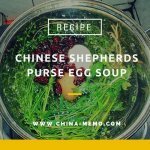 I hope you like this Chinese Rice Noodle Soup recipe. If so, please like it at Facebook and share with your friends too. You may also like another Chinese noodle soup with meatball, egg and tomato, or the fried noodle with sausages and beans.